Last month we wrote about structured settlements, and explained what a structured settlement is, and how it can be used to maximize value in a case. We explained its guaranteed payment features, as well as its tax advantages. 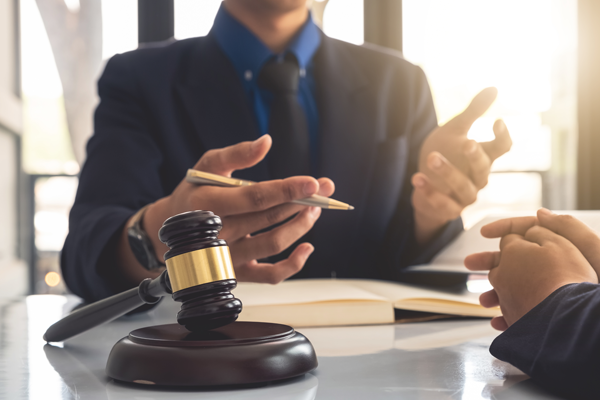 The White Plains personal injury attorneys at Worby Vecchio Edelman believe that a structured settlement is advantageous to most clients in most situations. We want our clients to be familiar with all features of a structured settlement; this month’s column is devoted to providing answers to some of the questions that most often arise. One popular question is this – can one obtain immediate access to the settlement funds, that is, what happens if an emergency were to arise such that the client is now unable to wait to receive the funds. The answer is that one can obtain a Court order to assign, or transfer the structured settlement contract to a third party, in exchange for an up-front payment of the value of that contract. Obviously, the return will be for a lower amount of money than would be received if the payments were made according to schedule. In order to protect personal injury victims from unscrupulous companies that engage in this business, the New York State Legislature passed the New York Structured Settlement Protection Act in 2006. Pursuant to this law, “cashing in” the structured settlement contract requires a Court Order. The standard that the Court considers is whether the transfer of the structured settlement is in the payee’s best interest. The Court must take into account the number of dependents that the payee has, and whether the discount rate to determine the payout is fair and reasonable. However, one is not required to demonstrate hardship; this is important, because the standard to receive the funds is not as strict under that circumstance. While the process to obtain early access to the funds may seem burdensome, it exists for the clients’ protection from an unethical company which might attempt to purchase a structured settlement from an unwary accident victim for far less than would be a fair and reasonable amount. A good way to avoid a situation in which earlier access to the funds is needed is to have a plan at the start, whereby only a portion of the settlement proceeds are structured, with the balance being paid up front. We are also asked what happens if the insurance company that issues the annuity contract goes into bankruptcy. The answer to that question is that New York has created the Life Insurance Company Guaranty Corporation of New York, which guarantees annuities up to the amount of $500,000. In addition, structured settlement brokers – that is, companies that administer the process and arrange for the annuity – use only highly rated companies to issue the annuity. Can the Holder Name a Survivor? Finally, perhaps the most obvious question – what happens if the annuity holder dies before all of the funds are paid out? The answer is that similar to a life insurance policy, the holder can name a survivor, and that survivor would receive all guaranteed benefits at the current present value, without the need to go through the probate process in court. When is a Structured Settlement a Good Choice? A structured settlement can be a very advantageous choice, especially in the case of a child, who would not have access to the settlement funds until the age of 18. As an example, lump sum payments can be made in the year in which the child will enter college, with amounts paid out in each ensuing year. There can be lump sum payments made upon graduation, or perhaps at the age of thirty, in order to act as a down payment for a house purchase. If the client chooses to do so, there can be lifelong monthly payments guaranteed to an age certain, which can even increase each year. Obviously, higher amounts invested will permit greater choice and flexibility. The accident attorneys at Worby Vecchio Edelman do not receive any additional fee if a client chooses to purchase a structured settlement. We are paid the same fee regardless of whether a structured settlement is chosen, or if 100% of the settlement funds are taken up front. We engage with the leading structured settlement company in the field. We can arrange face-to-face meetings with its representatives, and we’ll be sure that you fully understand all facets of the structured settlement so that you can make the choice that works best for you. The White Plains injury attorneys at Worby Vecchio Edelman have years of experience in all aspects of personal injury law. Call us if you or a loved one has been involved in any type of accident. We’ll make sure you know your rights, and we’ll be there with you every step of the way. We offer a free consultation, and we work on contingency, so there’s no risk at all to you. We only get paid if we recover money on your case.